Hey Everyone at Wealthy Affiliate. I wanted to share my success story with anyone that might need some inspiration at Wealthy Affiliate. Before you read this I just want to drive home the point that you need to work and be proactive with your online marketing. There is no magic button; but WA is a great tool to help get you started making money. I have created a user review community of webmasters that provide their feedback on different web hosting companies that they use. Over the years I have gotten over 900+ reviews left by webmasters on various host (over 500 comments on my blog too). First, you need to sign up with an affiliate program that has great communication. I always test them out by emailing their affiliate manager. I am testing them to see how responsive they are. Once, I have found a good one I use their service. Make sure it’s top notch quality and then write them up a review. Then, I start looking for all the other “big names” and write them up an honest review. Some I have previous experience with so I already know what the feedback is on them. Then, I do some outreach by contacting various webmasters and asking them to leave their feedback, ask them to share on social media, and personally thank everyone for their time. I have built some very strong relationships over the years this way. It takes a lot of hand work, and their were months and months of 12-16 hour work days with little to no return. Finally, at the 1 year period I started to see a steady stream of sales come in. I update my blog and write about Wordpress, web design, etc. I add up a new post at least once a week. Whenever I do outreach with webmasters after they have left a review I send a follow up and tell them they can earn $125 by signing up their clients with my affiliate link. They sign up through my affiliate program as a tier 2 and since I am a power affiliate I want them to succeed, because I benefit from it too. Hope you make lots of money in 2016! Super job, to the winners go the spoils. Thank you for the inspiration. I am committed to taking action every day so that I can succeed. Congrats!.. Really an Inspiration! Wishing you more success this coming 2017! Cheers! Hello Garen, I clicked on the link in your post here.... and it is really taking a long time to load. Thank you for the inspriation to keep moving forward. So much to learn. Thank you for the connection. I hope 2017 is a prosperous, and successful New Year. Try it again. Is it still loading slowing? No...you fixed it? Thank you. Ok, thanks for letting me know. I think WA's servers might have been running slowly. No problem! site looks amazing. Thanks I am looking to improve it more in 2017, too. Garen, I have been looking at this niche; Are the earnings above with just one company? Is that for a one year period? Thanks! This is brilliant Garon, well done. I am sure this took a huge amount of work! Thanks a lot, Garen, for sharing your steps on the road to creating a successful business. Really inspiring! Great work. Your hard work and dedication is paying off. This is another example of how success is really achieved online and anywhere else for that matter. Congrats! I just joined ShareaSale, so far looks good. Are you with them are they good, any other trusted networks you can suggest? I have an account with ShareSale. They are good for starters, but once you start getting more sales you need to move into their inhouse affiliate program where they can pay you more. Cj.com is also a good one for starters. Very good job and it must be a good feeling to see something work. Yeah has changed my life big time. Nice work man, you must be pumped! Thanks, Garen, for sharing! Great story! Congrats Garen! Nice to see someone here making good money. thanks! The training and community is great here! Congrats & Thanks Garen, truly motivational! Great inspiration for all of us, congratulation! Awesome stuff for those that are new to this, thank you for sharing. Thank you for sharing your successful experience. Great work!!! hopefully I keep expanding and can dominate this niche. Good work. Persistent and smart not hard for you I hope. Yeah, the first sale is the best, but when it starts happening you will be so glad you didn't quit. Thank you, Garen, for sharing your success story here. It helps me see it can work. Excellent and thanks for sharing. It helps us all to hear genuine stories of hard work and success. Nice! I hope to be writing a review of this sort myself in about a year or so. God Bless! 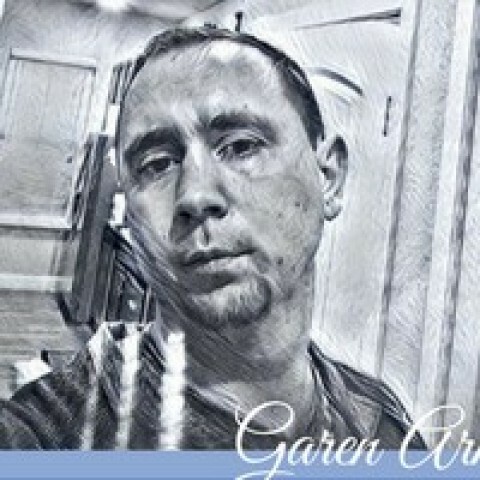 Thanks for sharing your success story Garen, it is a motivation. thanks. Hard work pays off and wish you the best. Great work Garen, but what specifically affiliate program are you on? InMotion Hosting. 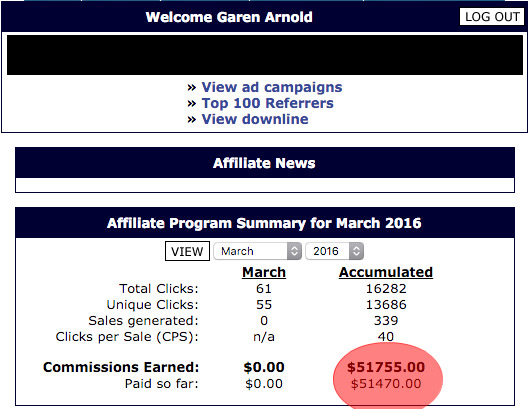 I started with CJ and then moved to their inhouse affiliate program. Then they keep giving me raises :) I have been working with them for 7+ years. Thanks for the reply, will look into it! Struggling With Staying On Task?